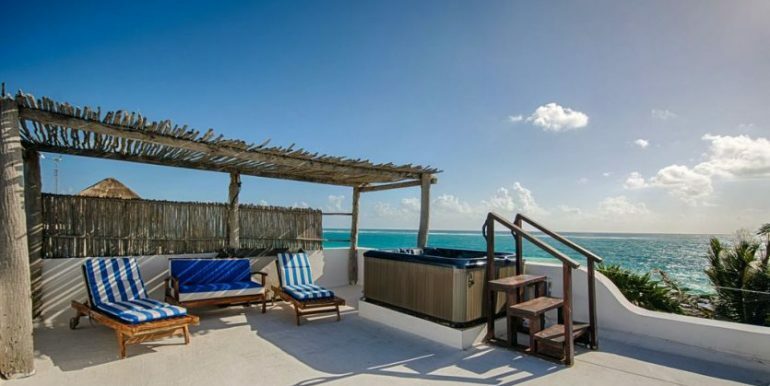 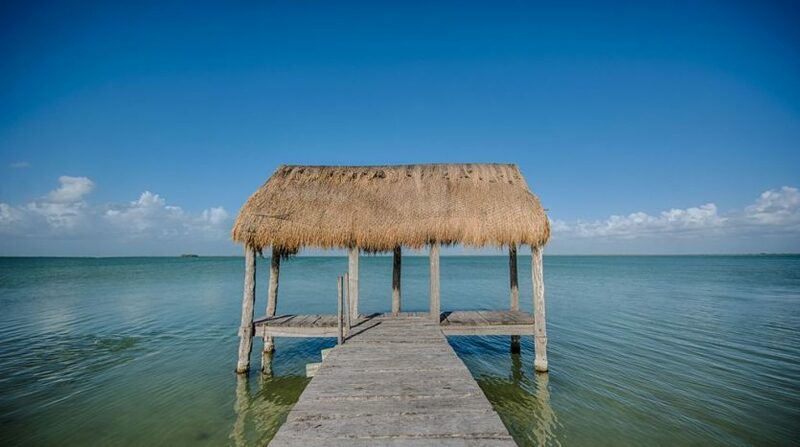 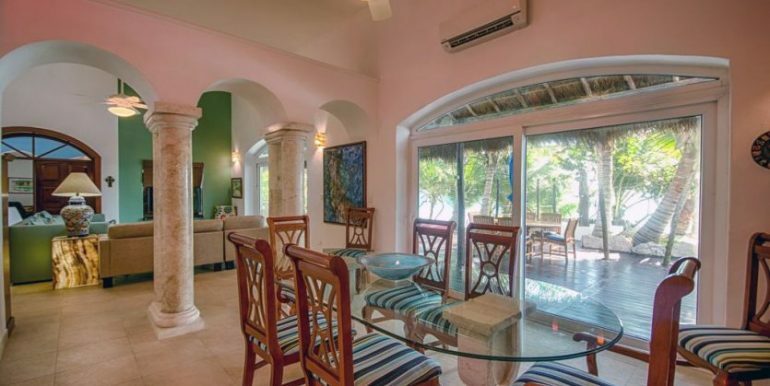 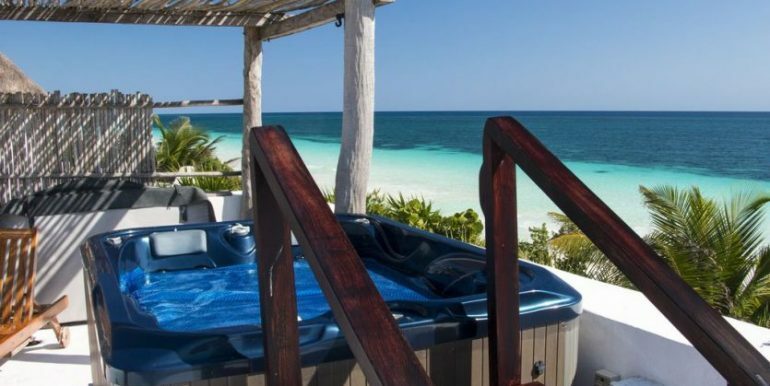 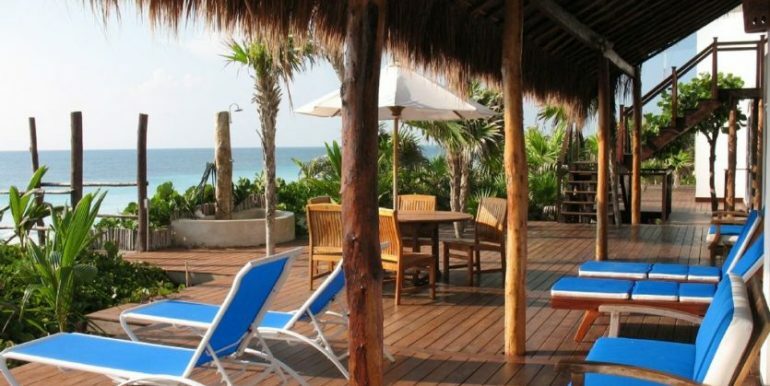 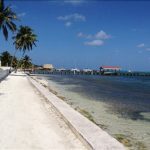 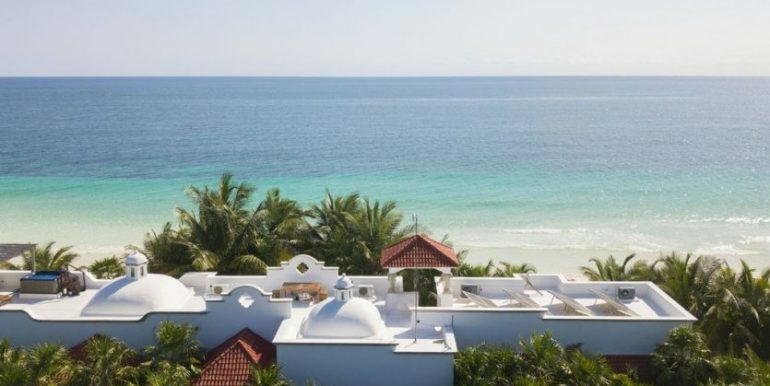 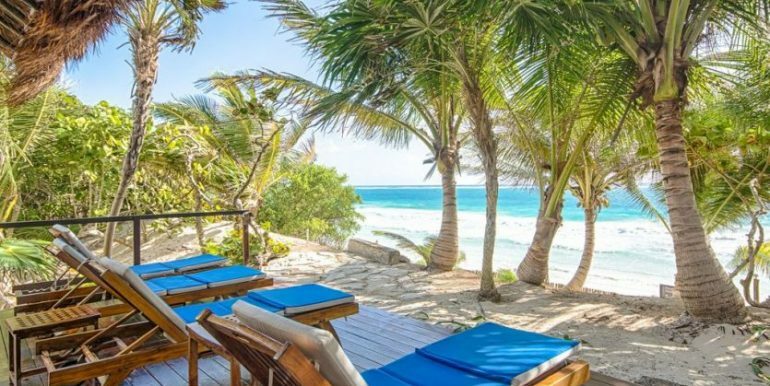 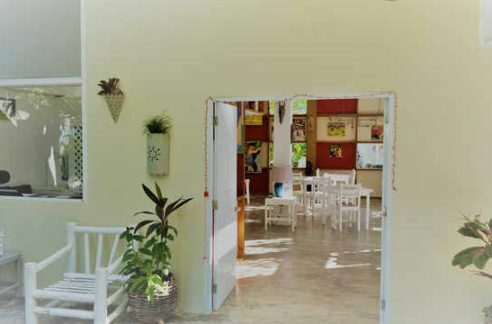 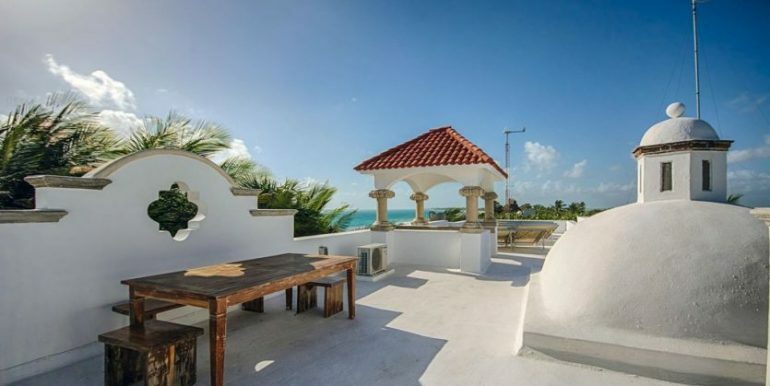 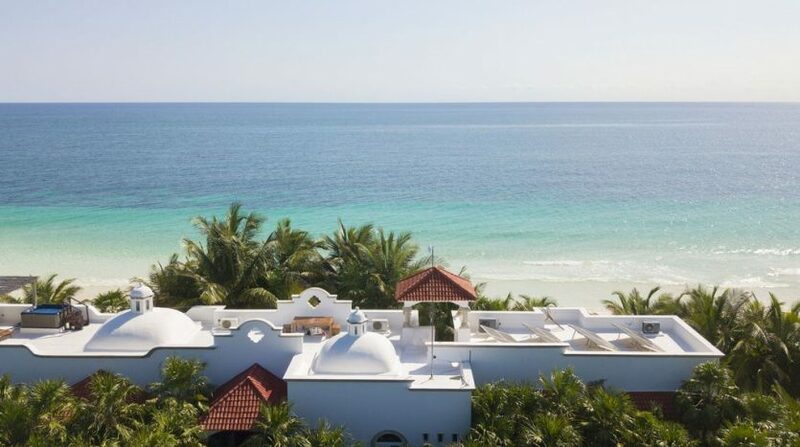 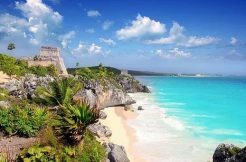 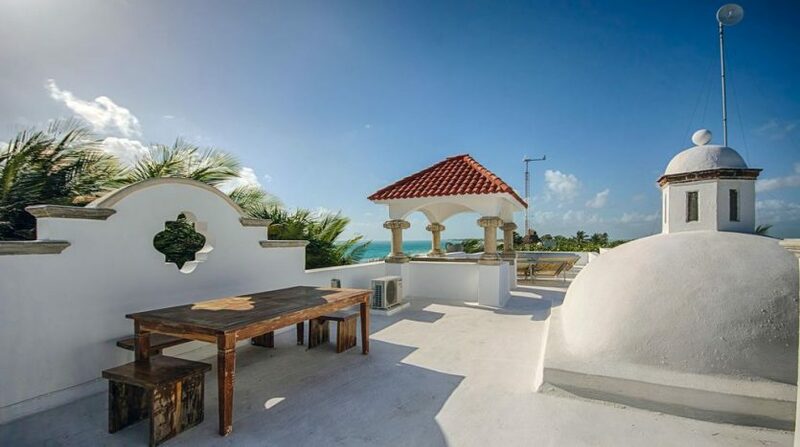 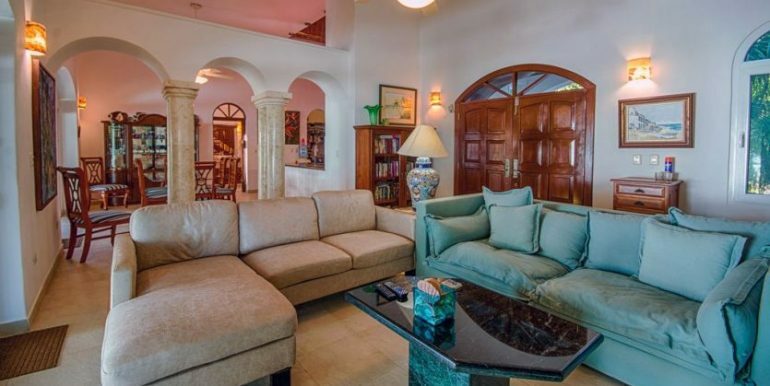 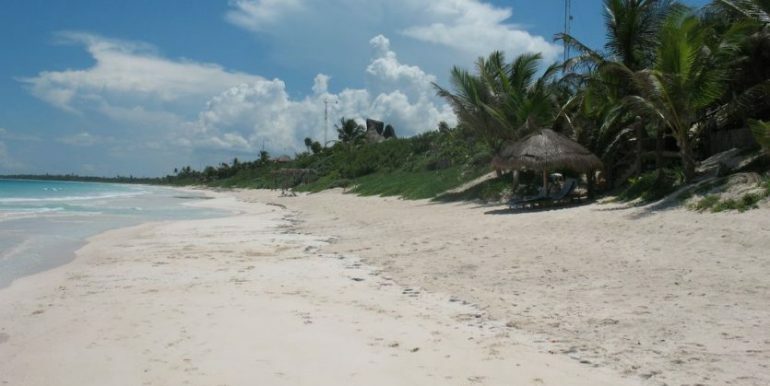 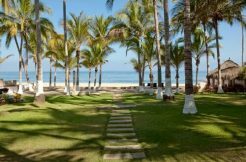 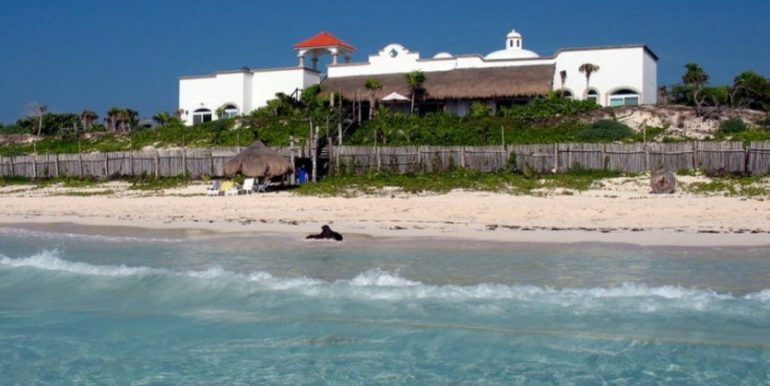 Beautiful Caribbean beachfront house for sale in Tulum Mexico. 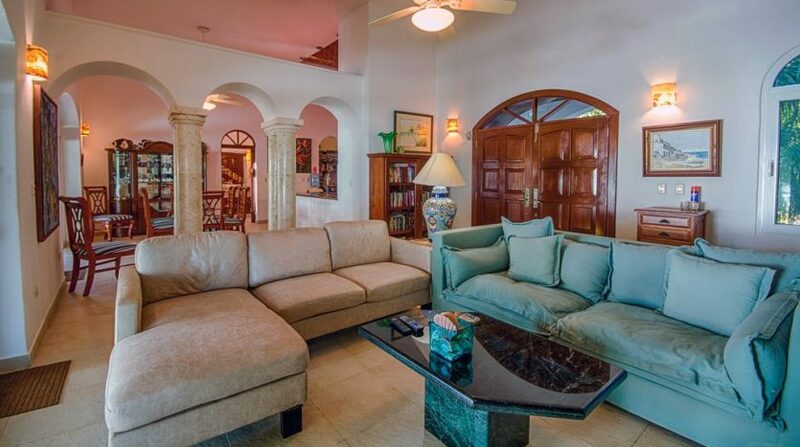 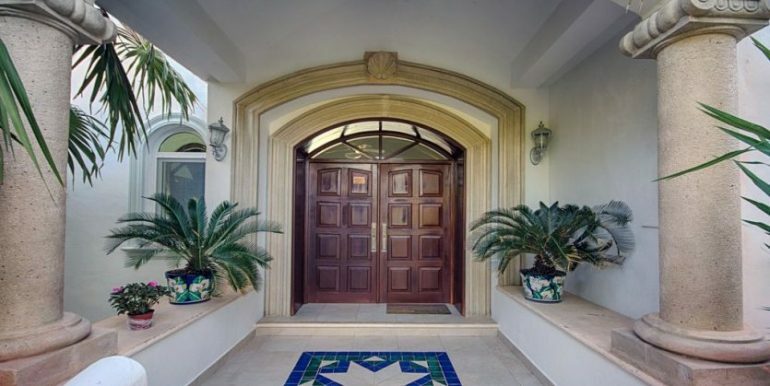 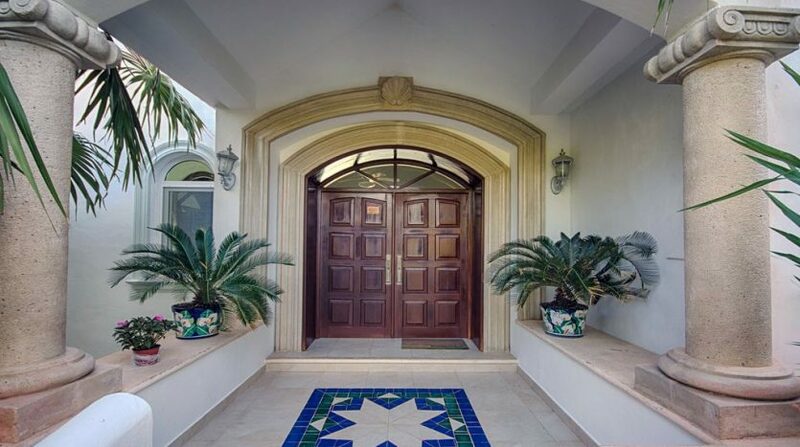 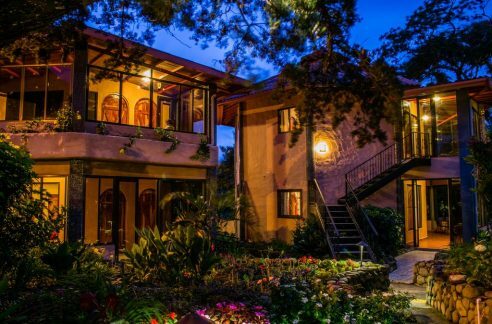 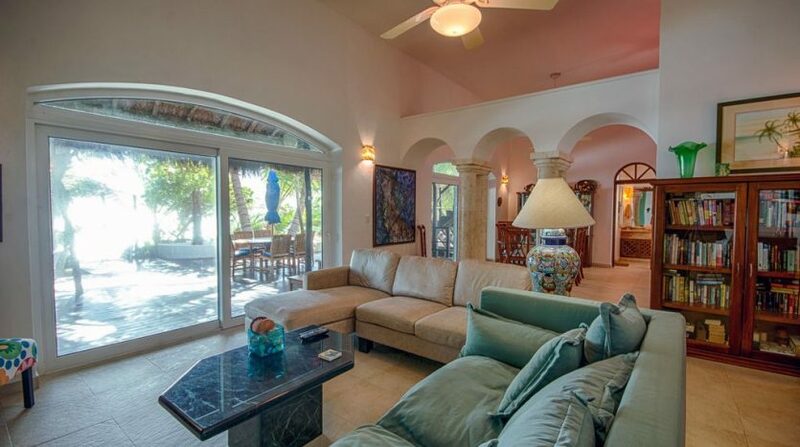 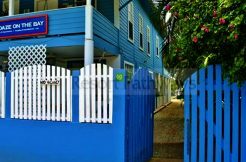 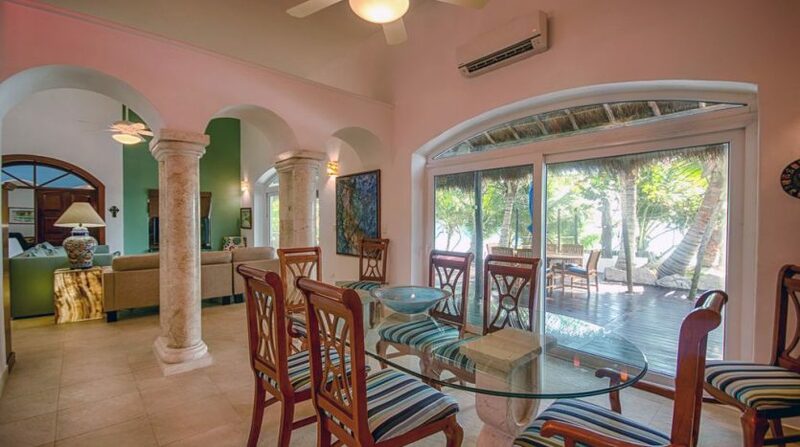 This Caribbean home can also be turned into a money maker for vacation rentals to high end clients. 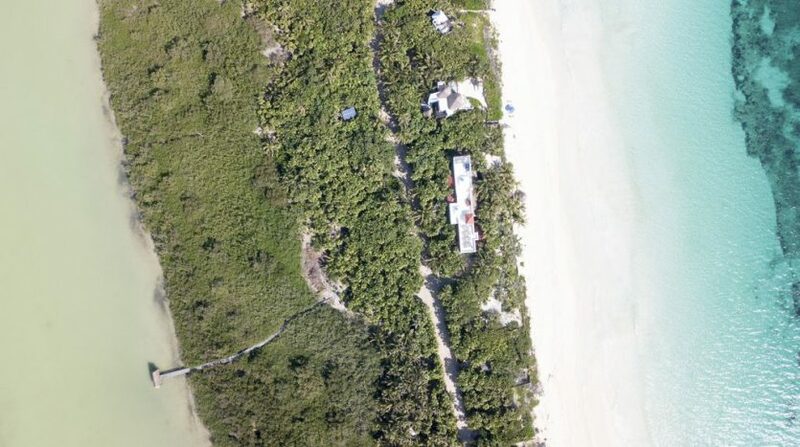 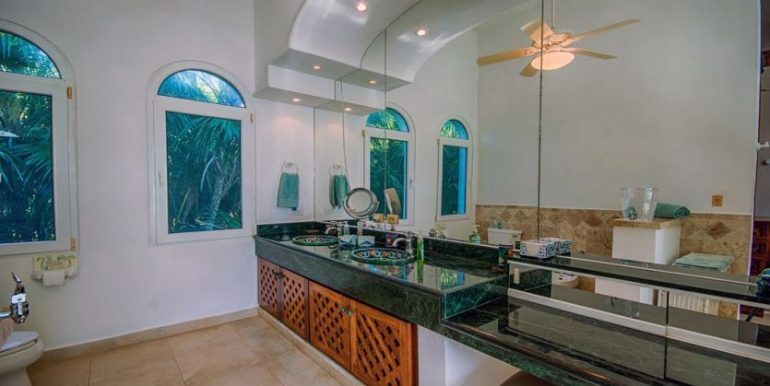 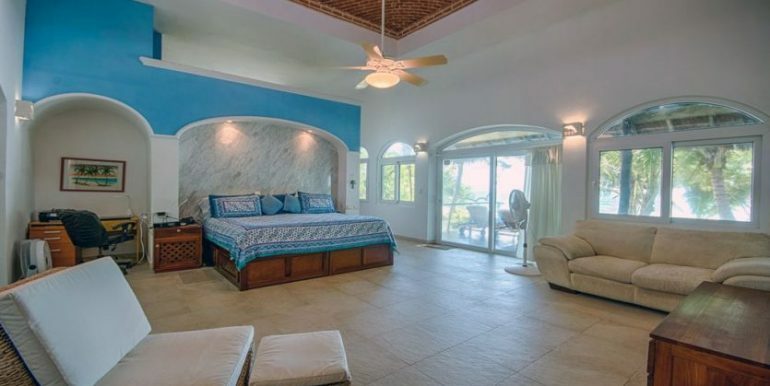 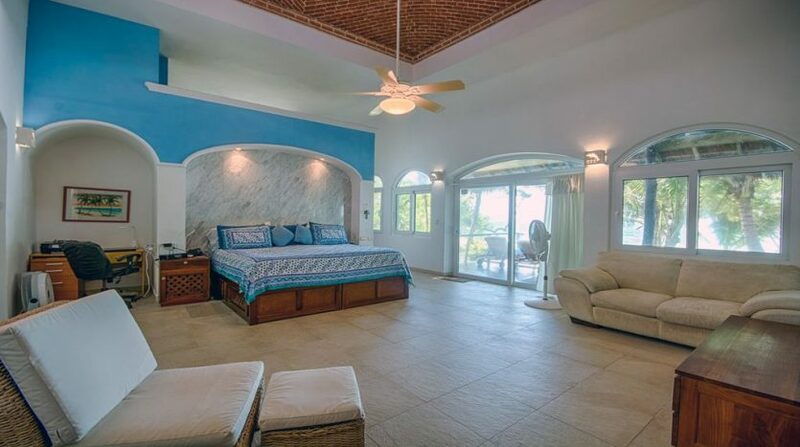 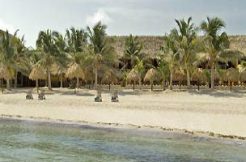 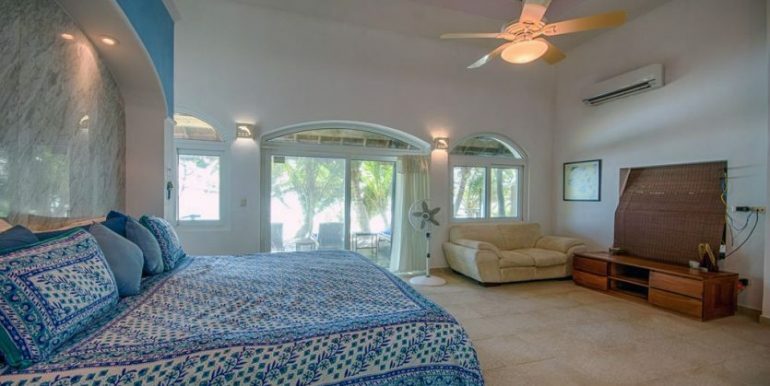 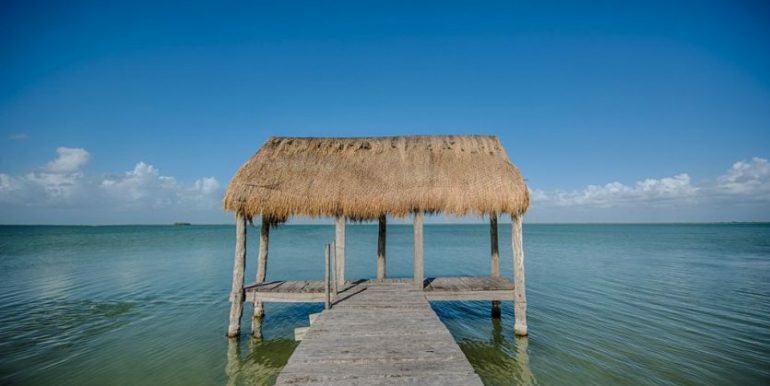 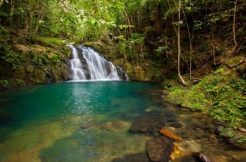 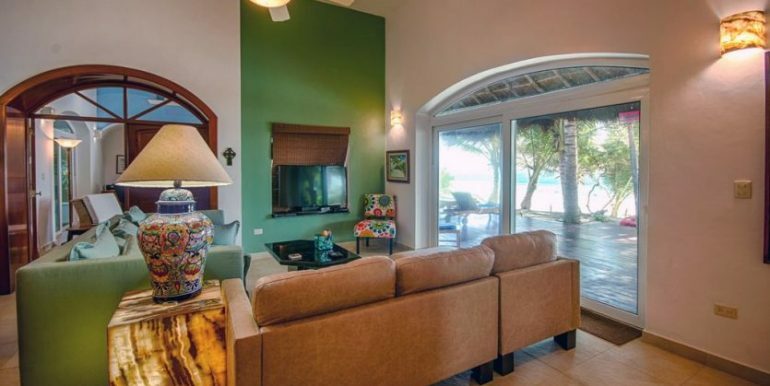 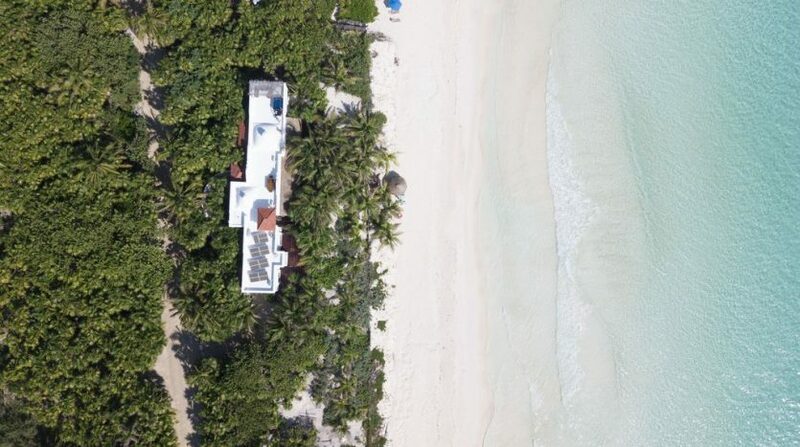 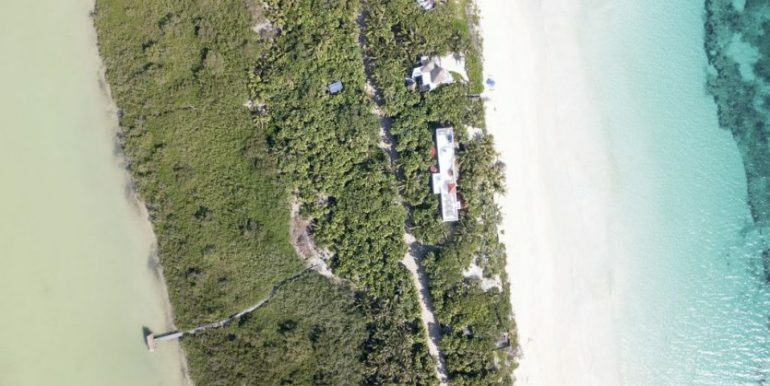 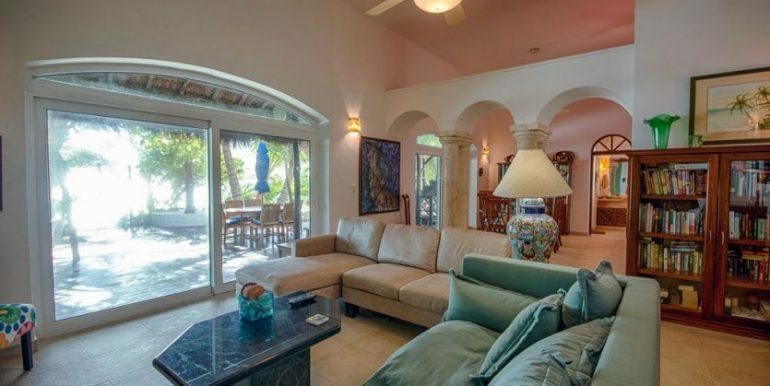 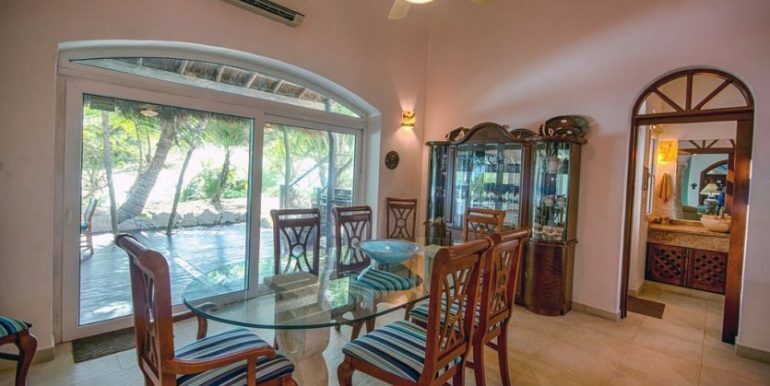 The beachfront Caribbean house has 3 bedroom, 4 bathrooms, and is on a 10,000 square meter lot – which is 107,000 square feet or 2.47 acres. 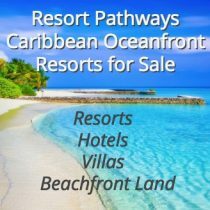 The land runs from the Caribbean beach to the lake. 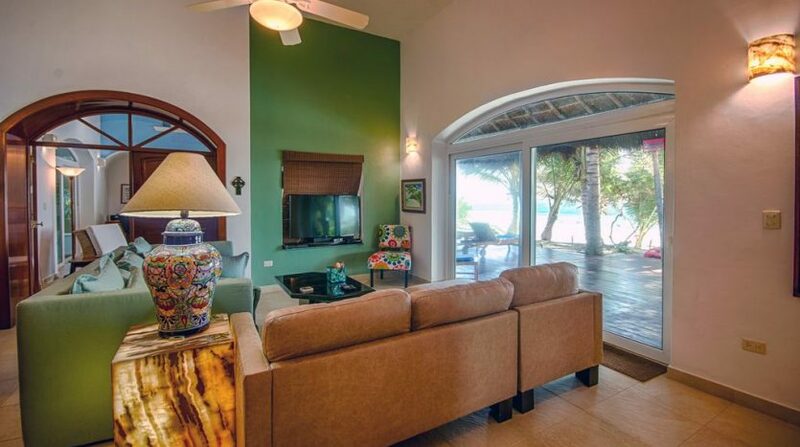 The moment you walk through the entrance to the house you see amazing views of the sea and lagoon from each room. 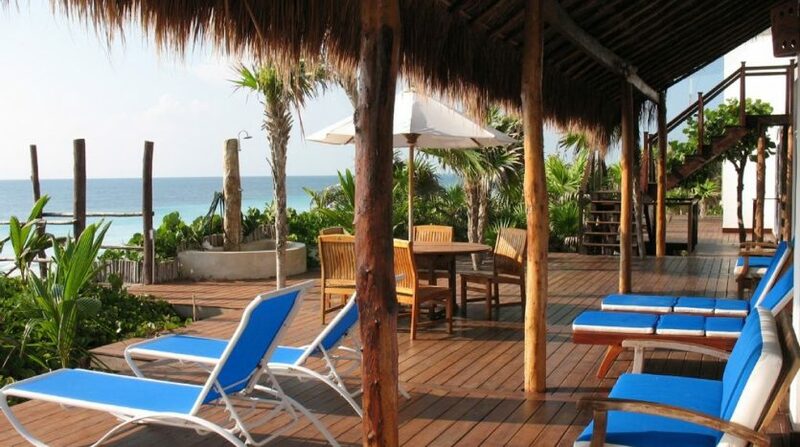 There is a 2,000 square foot deck for dining and relaxing. 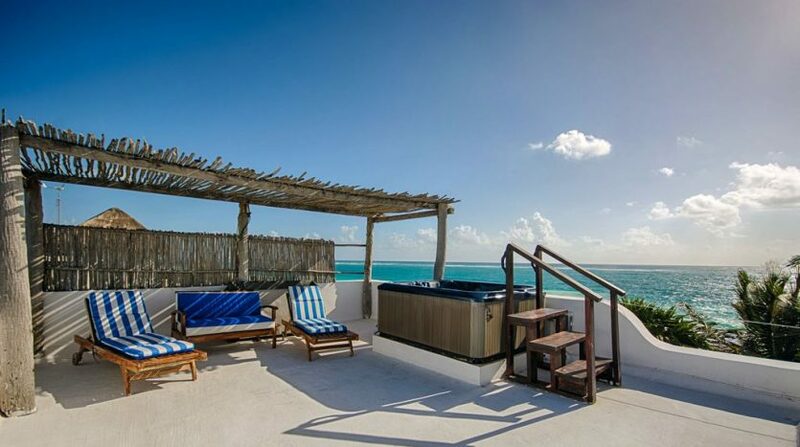 There is a 2,000 square foot rooftop terrace with jetted spa for sunbathing, stargazing, and enjoying spectacular Caribbean sunsets. 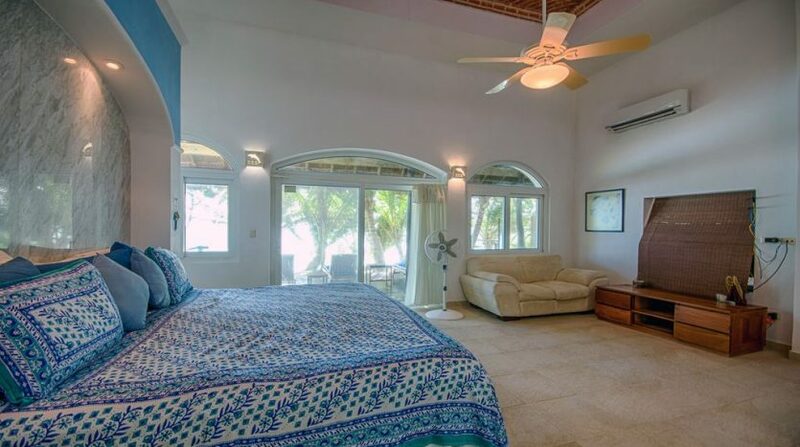 The master bedroom has an exercise area with equipment for those motivated to keep in shape while here. 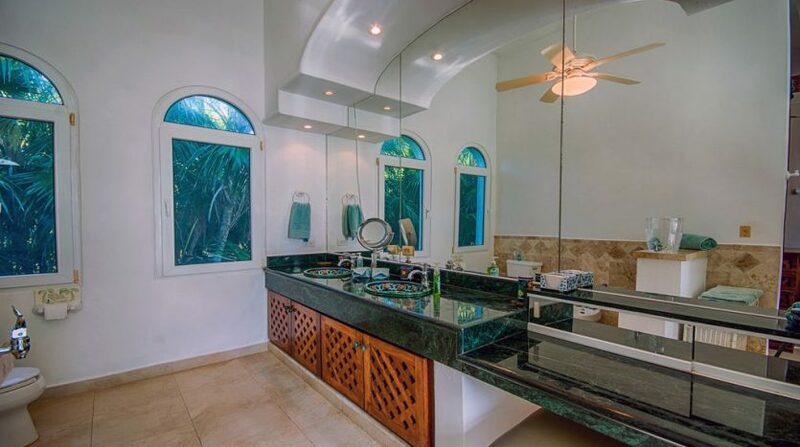 All three bedrooms have en-suite baths with either marble or granite countertops and double Talavera sinks. 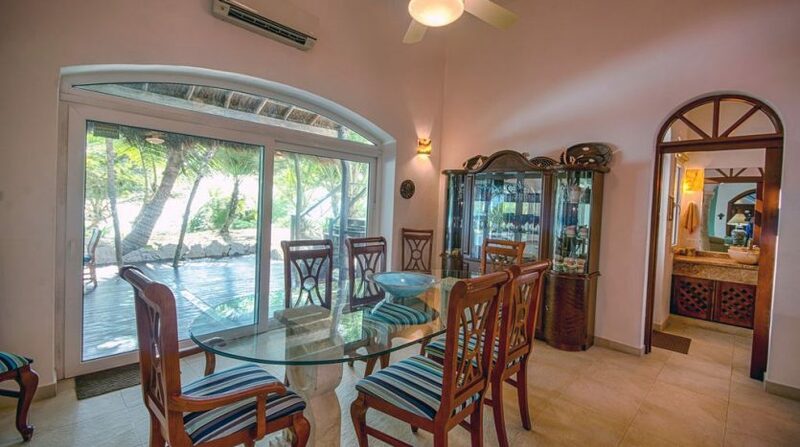 The large, luxurious kitchen is fully equipped with anything you would need to cook gourmet meals. 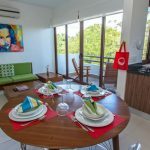 And all three bedrooms and living area have air conditioners powered by a wind and solar system for this eco-friendly house. 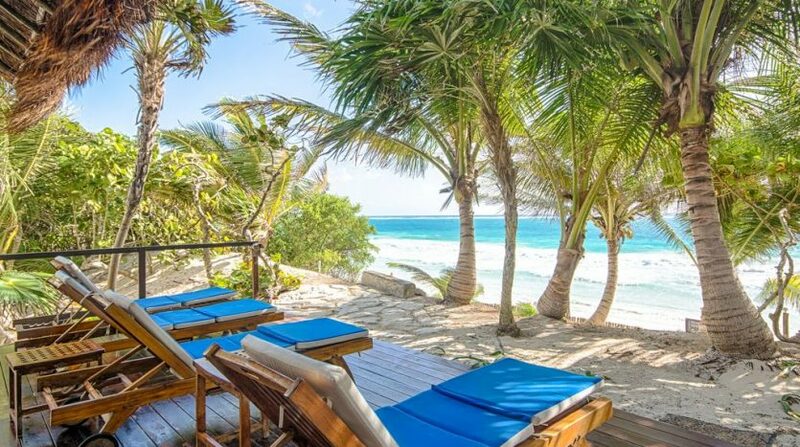 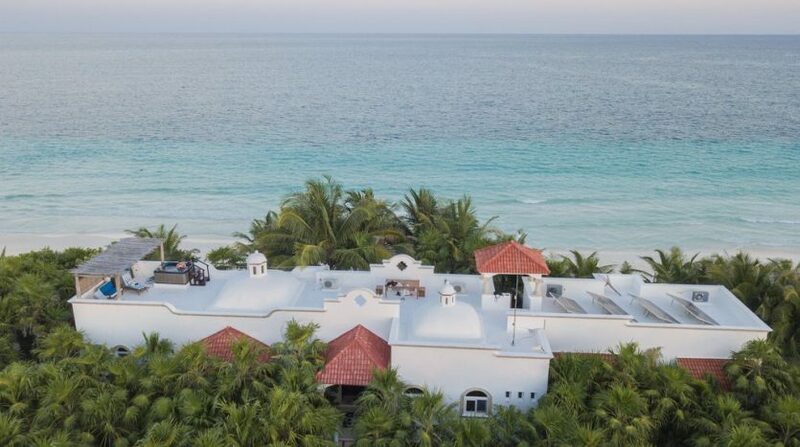 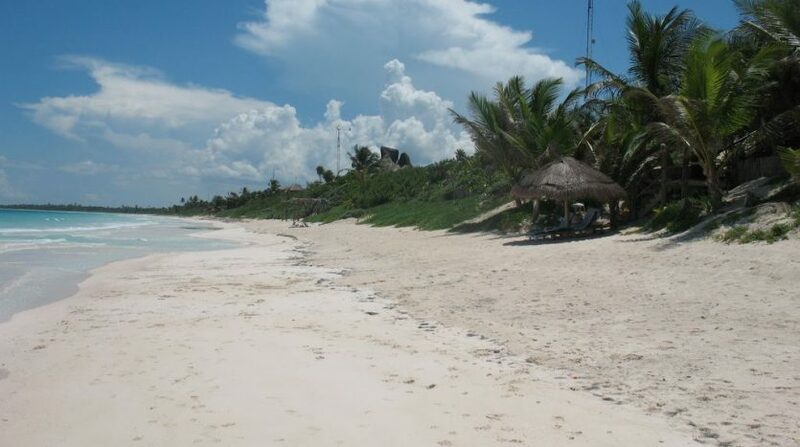 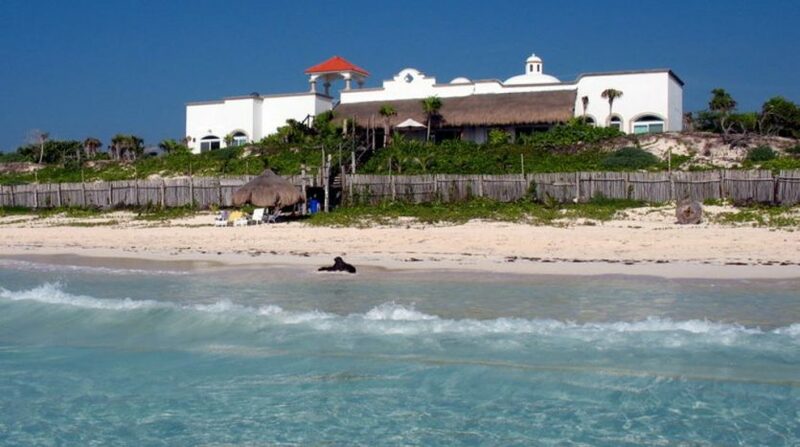 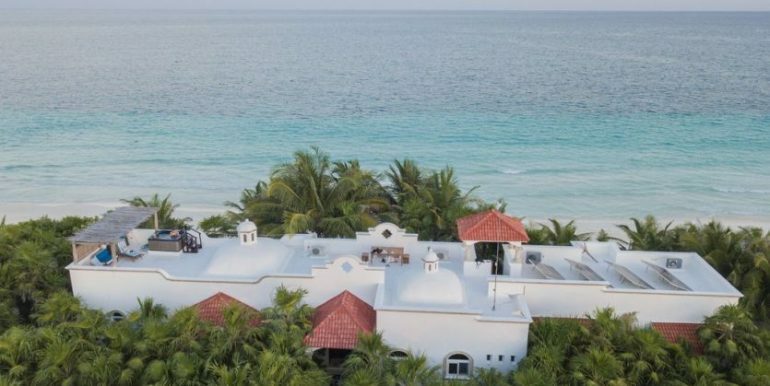 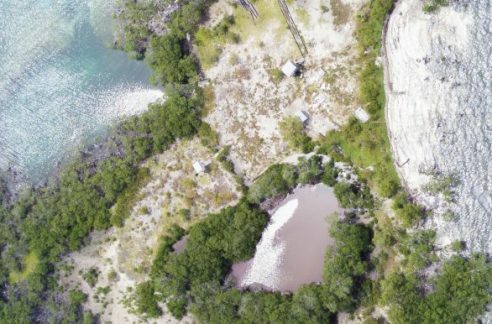 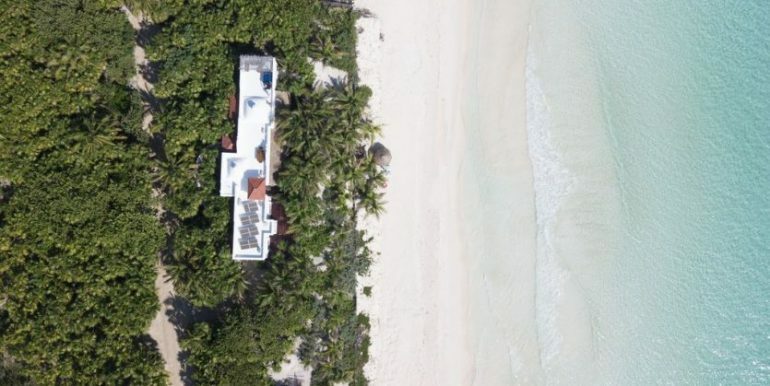 Please contact us below for more information on this Caribbean beachfront house for sale in Tulum Mexico.